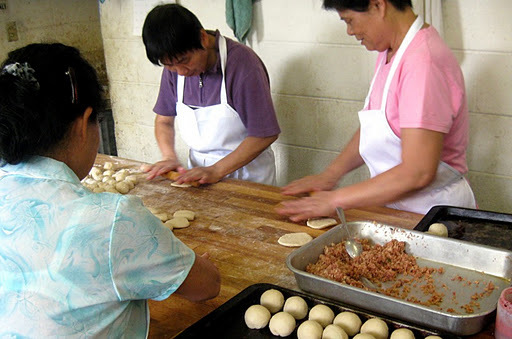 One of the things we knew we wanted to try while in Honolulu was Manapua - the local take on a Char Siu Bao - so we hopped on a bus to Chinatown to visit Char Hung Sut. but once we got inside, the tiny shop was a bustle of activity. 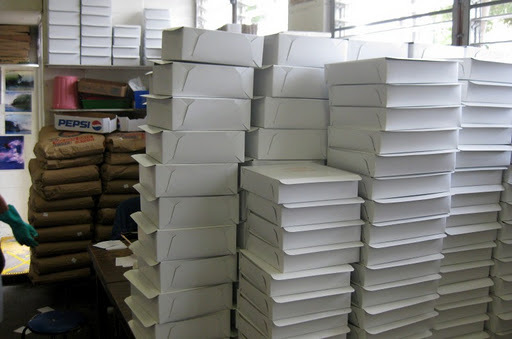 We crowded into the line of people waiting to order, and watched the assembly line at work. 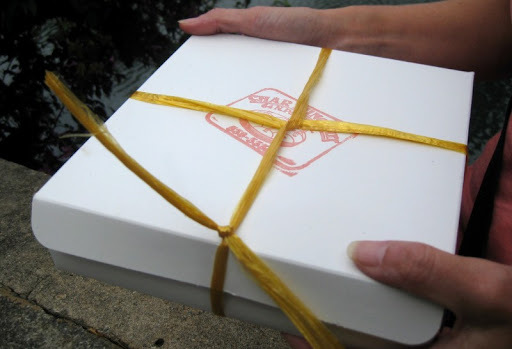 Fortunately, the lady taking our order was nice and patient with us and we were soon off with our little box of treasures. The big guy on the left is the headliner - the manapua. 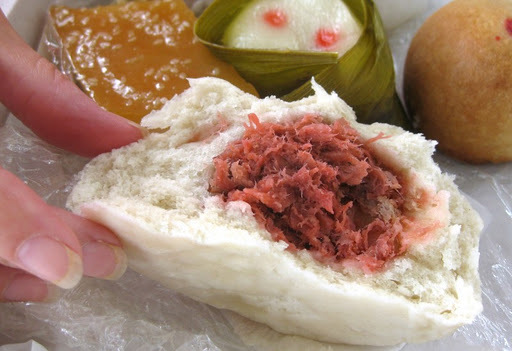 As mentioned before, it is a style of Char Siu Bao - a steamed bun with a pork filling. Super good. 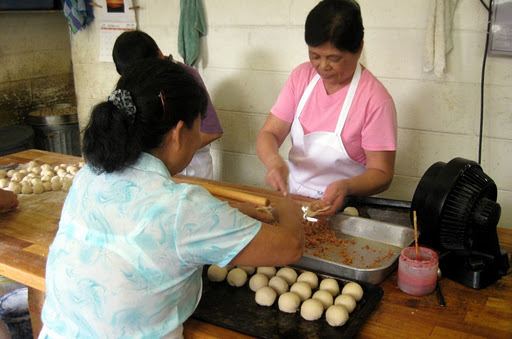 The bun bread had perfect texture, and the pork filling was a satisfying mix of savory flavor with a hint of sweet. 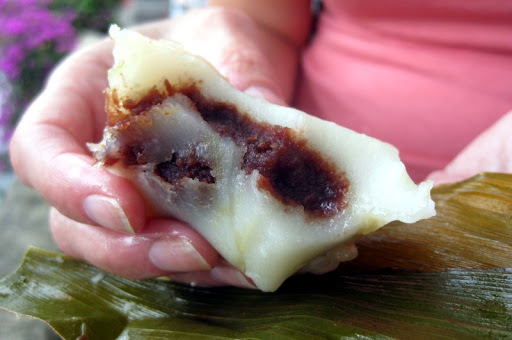 The flavor of the filling was similar to the manapua, but with a different texture - more chopped pieces rather than shreds. Also very good. 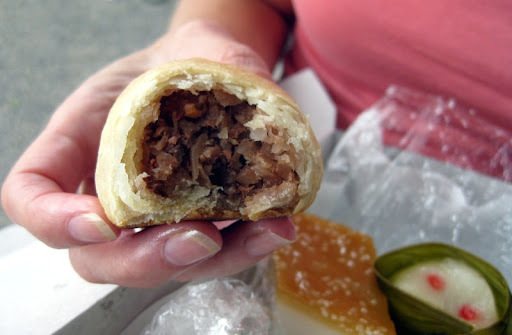 The "Pork Hash", seen below, is a purse-shaped bun with a much denser filling than the previous two. 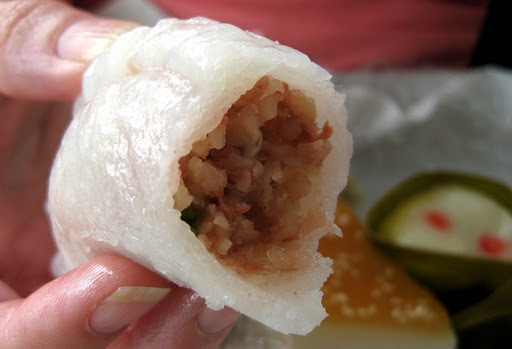 Next we had another pork-filled bun - Ma Tai Soo. 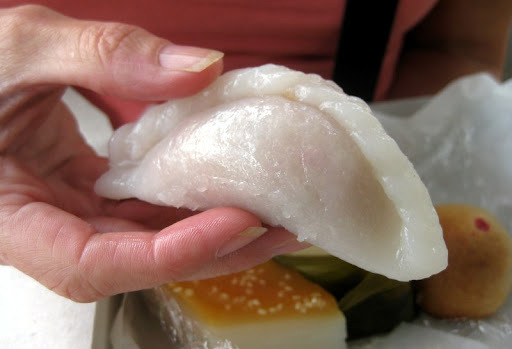 This one was baked rather than steamed like the others, resulting in a more flaky dough. I enjoyed it, but both the filling and the dough were a bit sweet for me. 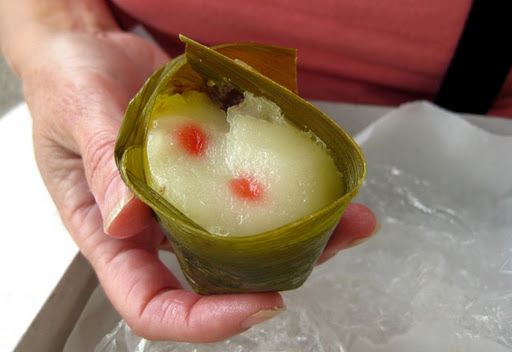 It had a fun, squiggly texture and was sweet, but not too sweet. I was pretty texturally challenged with this one - it just isn't my thing. Still, it was fun to have tried it. 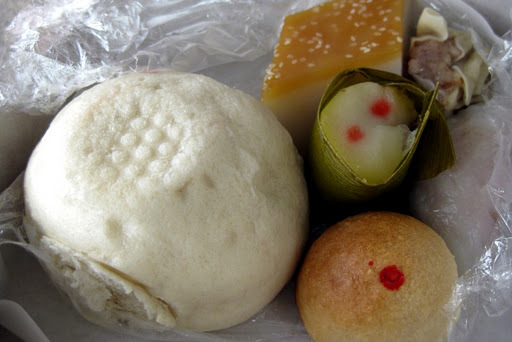 After going through our box of goodies, we were still a bit hungry so we stopped back into Char Hung Sut to get a couple more manapua - much to the amusement of the woman taking our order for the second time. She thought we were crazy for having only gotten one to share the first time around, and she was right! 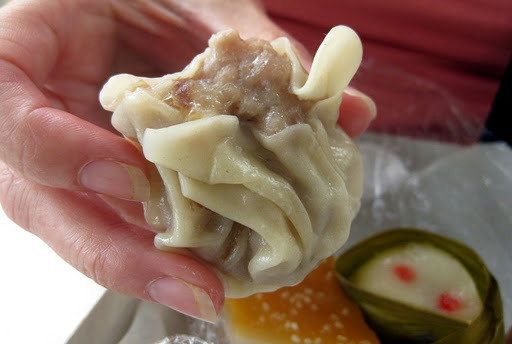 Hi Mike - Char Hung Sut and Libby are real old school Manapua shops, glad you enjoyed them. Hi Kirk - we also considered going to Libby, but it seemed more difficult to get to on the bus. Oh nice! They all look so good! Haha, classic that the lady thought you were crazy for only buying one manapua. 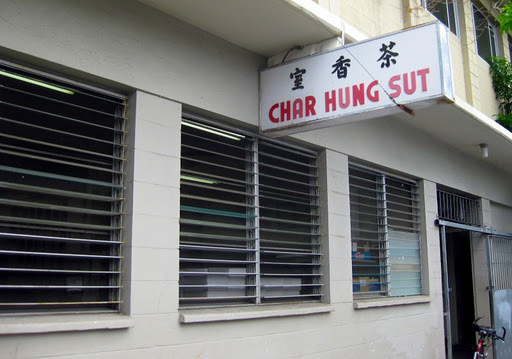 Char Hung Sut is the best. Every time I go home, it's on the "must-eat" list. Mat Tai Soo is my fave, followed by pork hash that's as big as my hand. Now I'm hungry. It is a pretty awesome place - we will definitely be going back on our next visit to Honolulu. 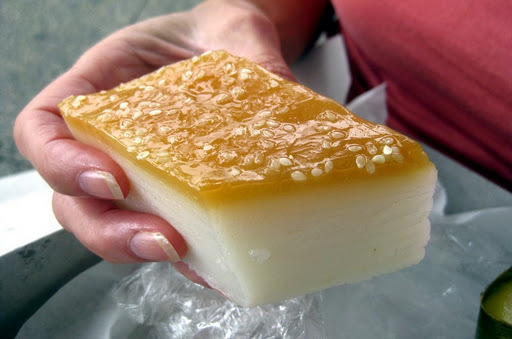 Char Hung Sut is the first place I go when I get to Honolulu and the last place I go before I go back to the Mainland...My favorite is the half moon, pork hash and rice cake...Yummm!!! 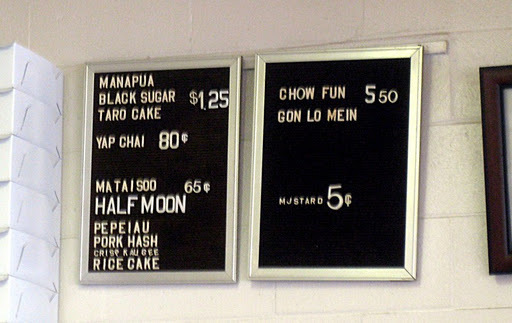 I completely understand - Char Hung Sut will be high up on our list the next time we get to Honolulu.